Girls just wanna have fun... and they do! RYA SAILING SCHOOL – Updated Fast Track Yachtmaster “Xpress”. Probably the most comprehensive, value for money Fast Track Yachtmaster course available! Ask Flo, Phil and JT! All successful at Yachtmaster Offshore last August. Well done Guys & Gal! GIRLS GO SAILING – We are now highlighting in our Course Availability Page those dates that have the potential to become all girl crews. We are delighted to announce that, in the furtherance of the Girls go Sailing project, we have put together an ALL FEMALE Team of lady instructors for the coming winter season. Pippa (YMI) will be joined by Tanya (CI) and Anna (YMI) to provide the maximum opportunity for all female courses and cruises. 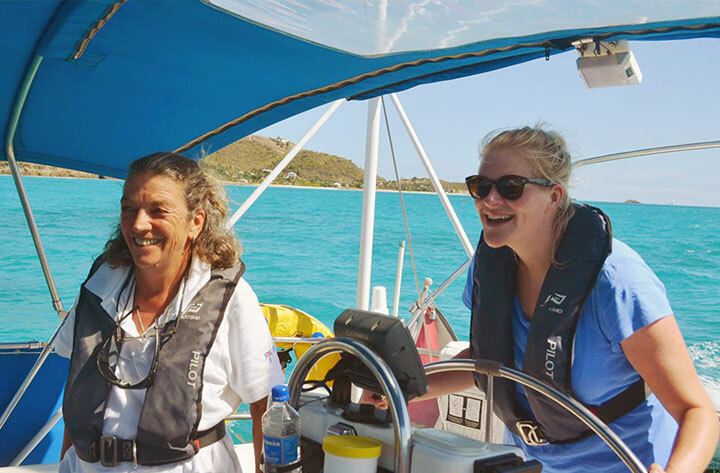 If you wish to be part of an all-female course, or enjoy a fun Caribbean Cruise, get on board now before the men muscle in! 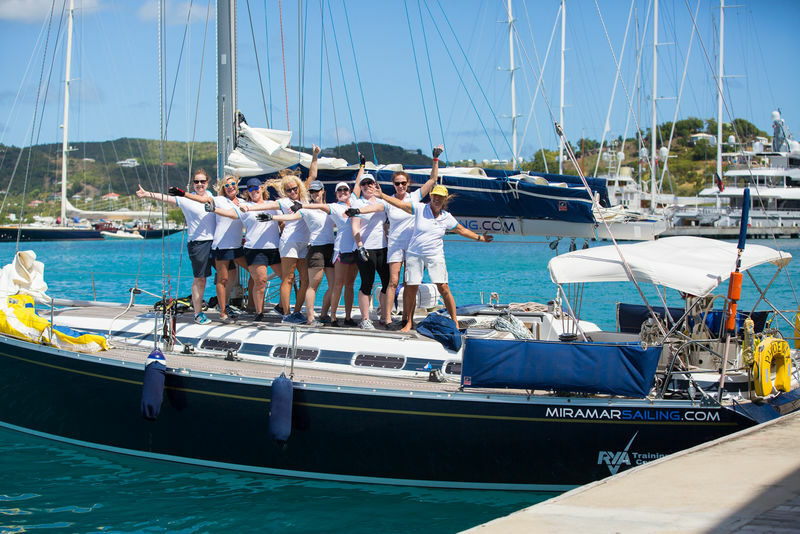 RORC CARIBBEAN 600 Offshore Race – Only ONE crew spot remains for ladies only for the next edition of this challenging race around 13 Caribbean Islands in 2019. Join Pippa, Ali, Karen, Tara, Renate, Anna, and Carrie for this exciting and challenging attempt on this legendary offshore race. Read all about last years race! 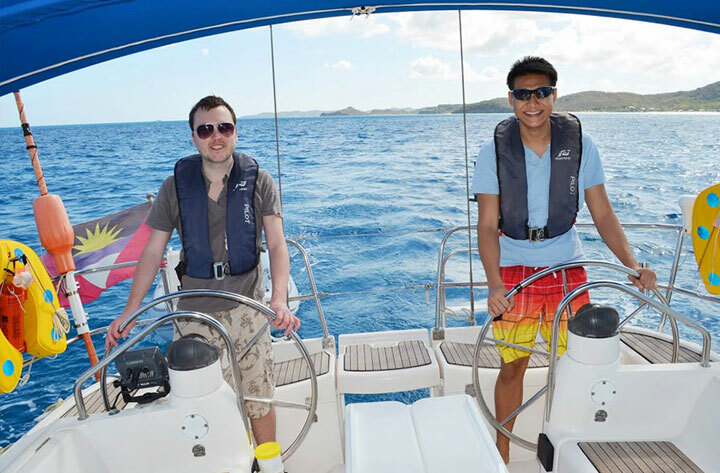 We established our RYA Training Centre in Antigua in 2010 to offer the complete RYA Yachtmaster (Sail) Scheme. 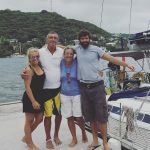 All courses from Competent Crew to Yachtmaster, as well as Power Boat courses are available, in a fabulous setting with fantastic sailing conditions. 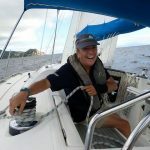 Female only sailing courses, cruising & mile building in Antigua. We want to encourage more women into sailing by empowering them with self belief and confidence. 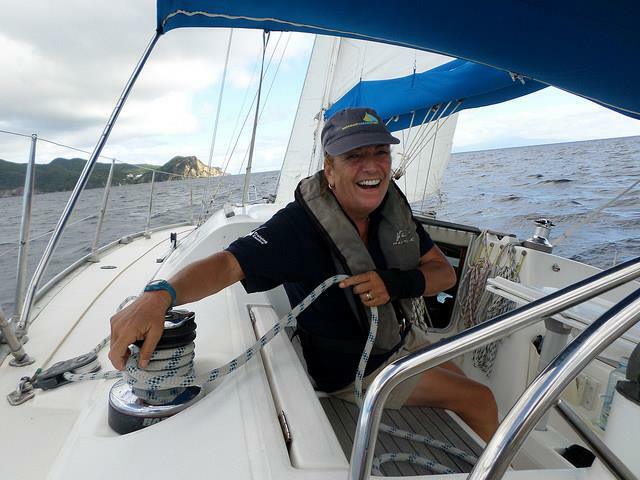 Learn from Pippa, our experienced female skipper and get some practical hands-on training. 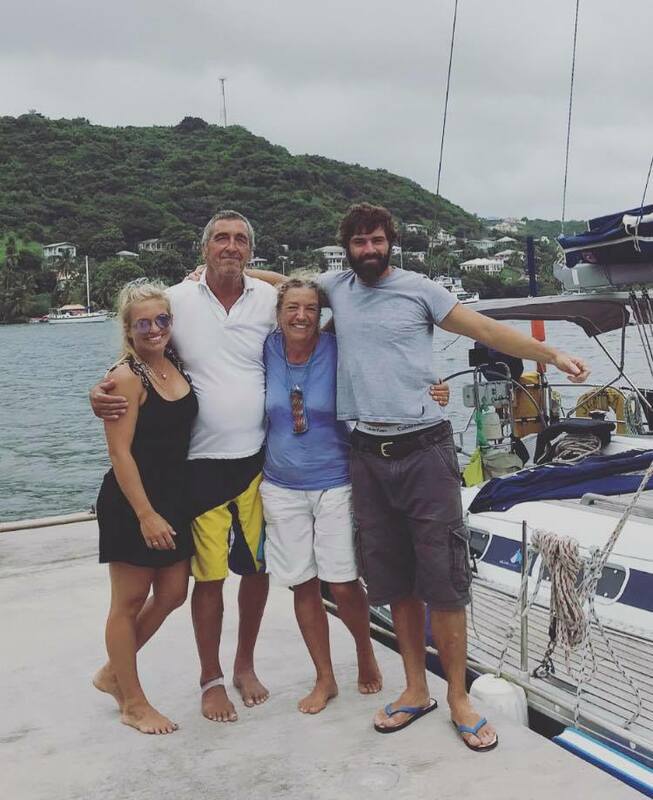 Located as we are in the heart of the Caribbean Island chain, multiple choices for visiting the many islands to our north and south are available. Your choice is limited only by how long you have to explore. We have no problem with how far we sail! 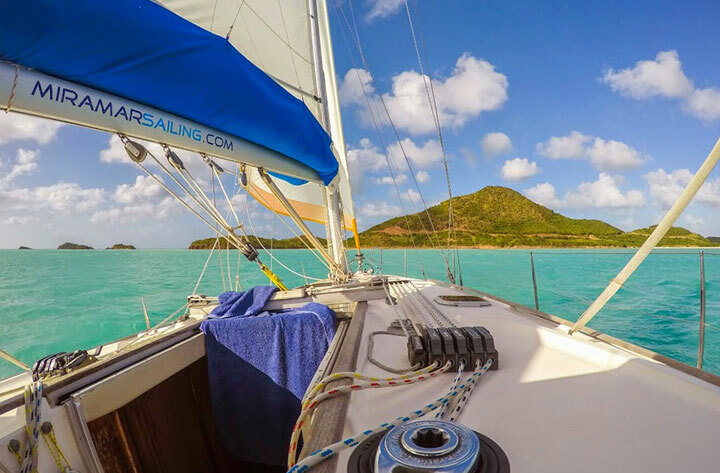 The Caribbean is renowned for it’s annual schedule of top class yacht racing events such as Antigua Sailing Week. 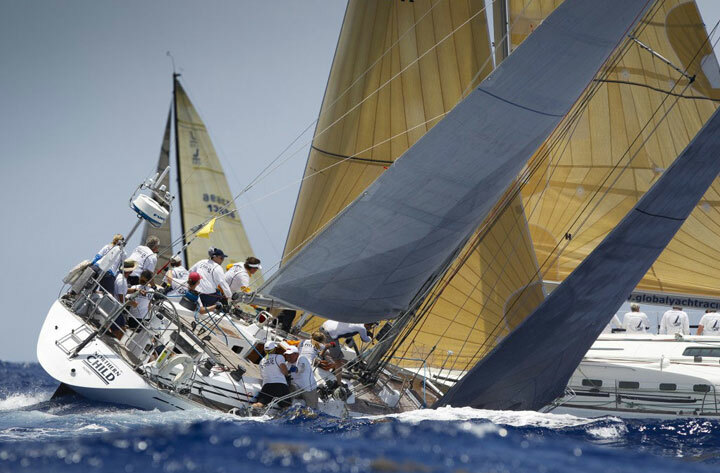 Our Yacht Racing Charters go further afield and include most of the prestigious events around the globe. Regattas, Offshore Races and Mile Building are all available.